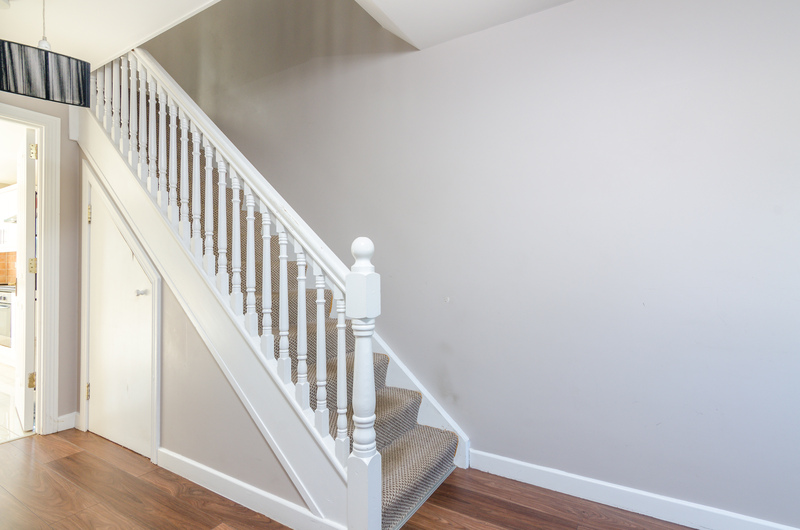 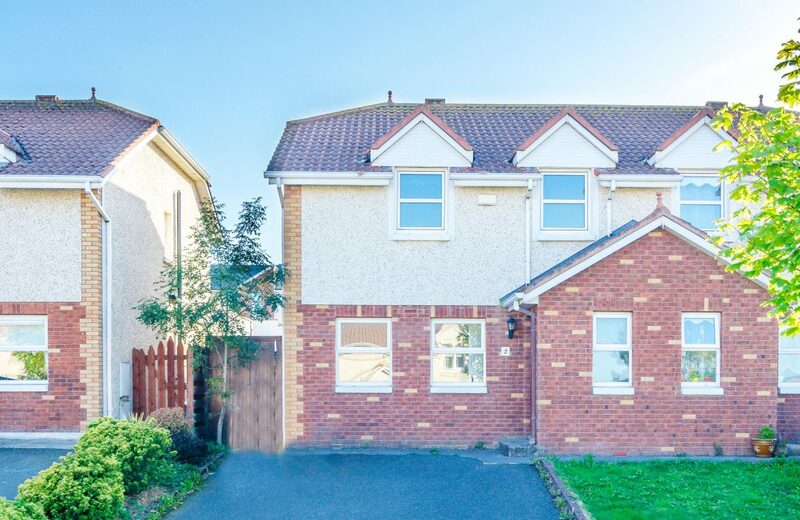 KELLY ESTATES and LETTING AGENTS presents an opportunity not to be missed, to acquire this 3 bed family home in a prime location in the sought after Broomhall Court. This property would be perfect for those expanding families looking to settle in a convenient and desirable location with amenities all a short stroll away. This is a fantastic home and should be viewed to appreciate its full potential. 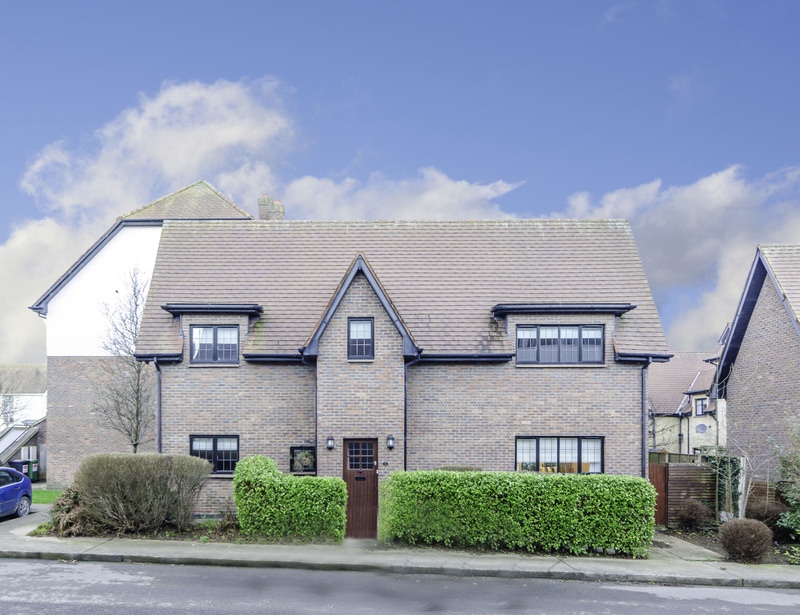 This family home offers a wonderful opportunity for those discerning buyers seeking a quiet and peaceful life. 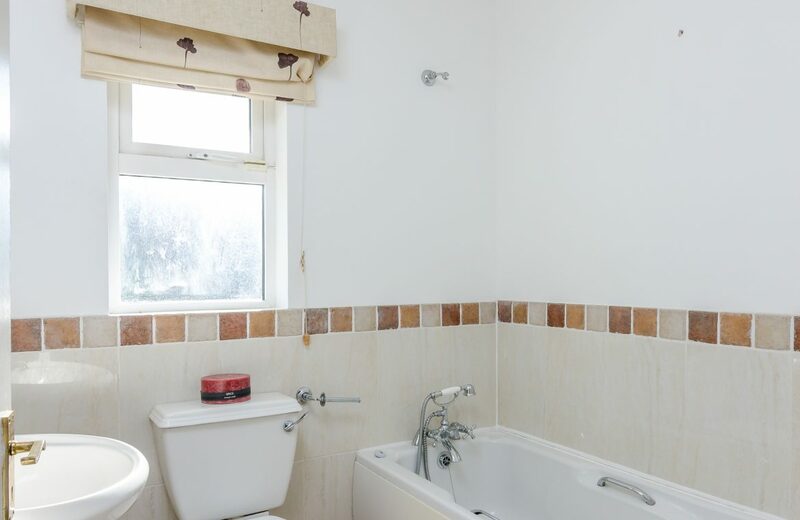 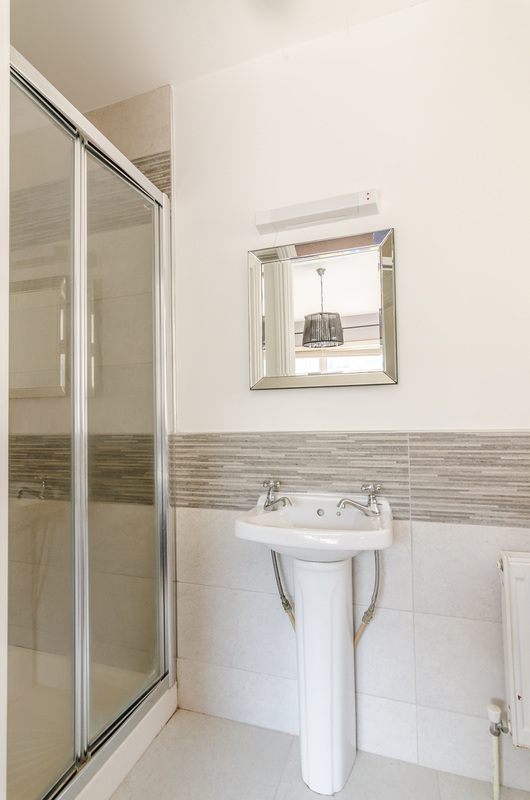 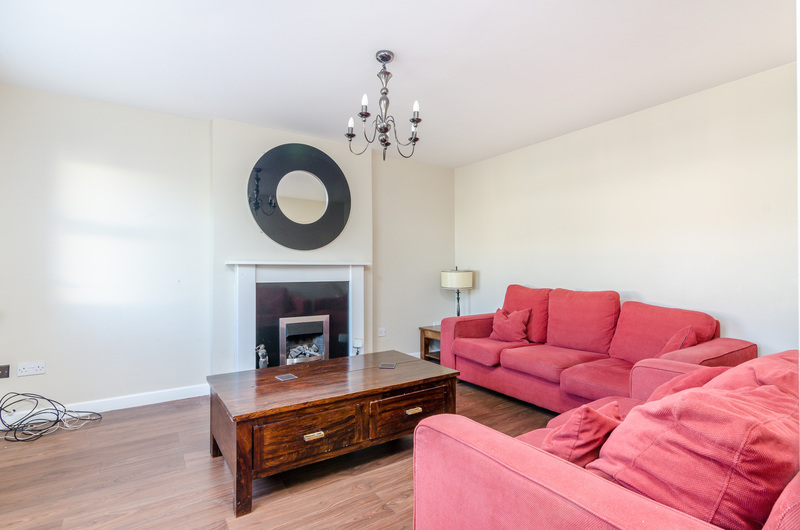 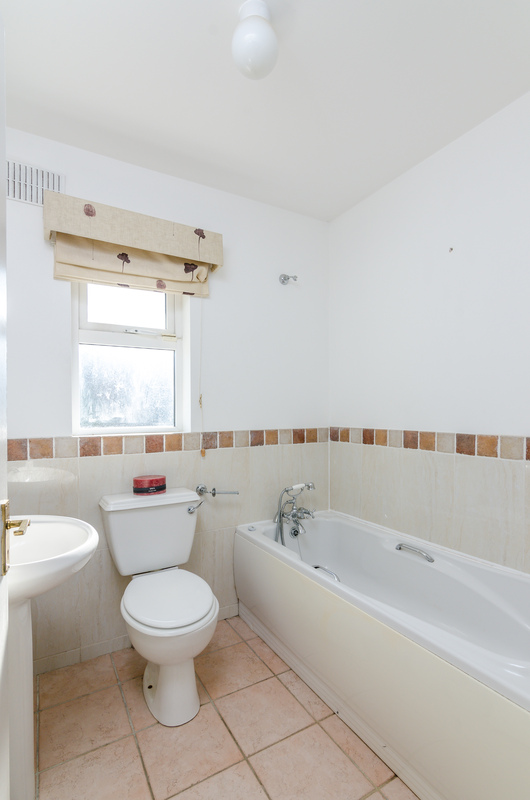 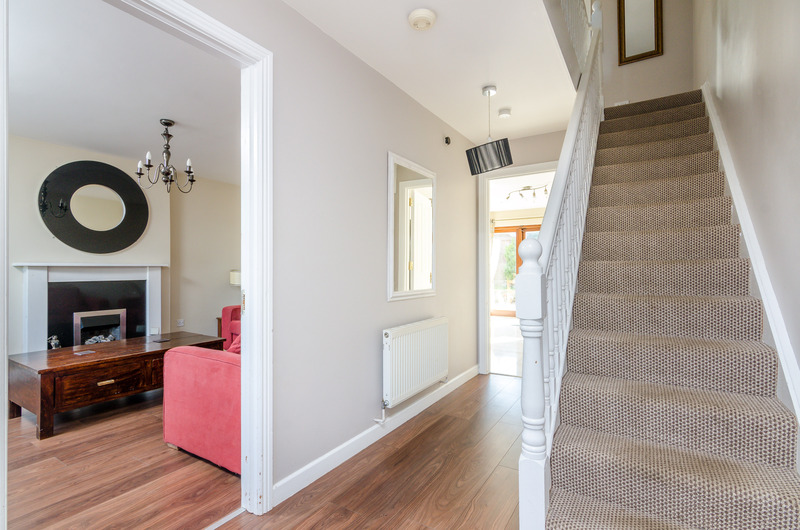 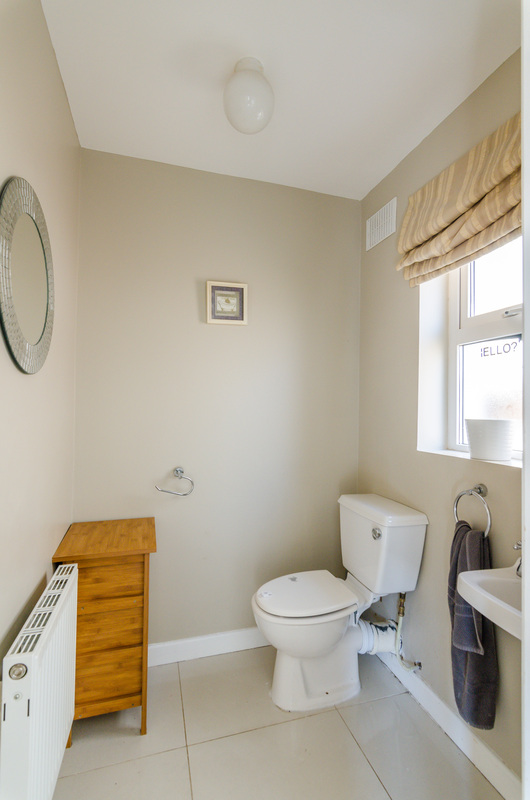 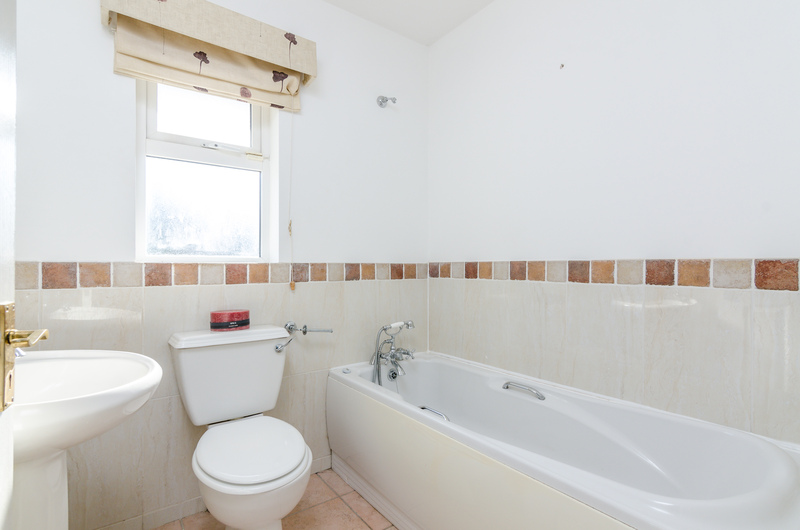 Within the property, accommodation is bright and spacious. 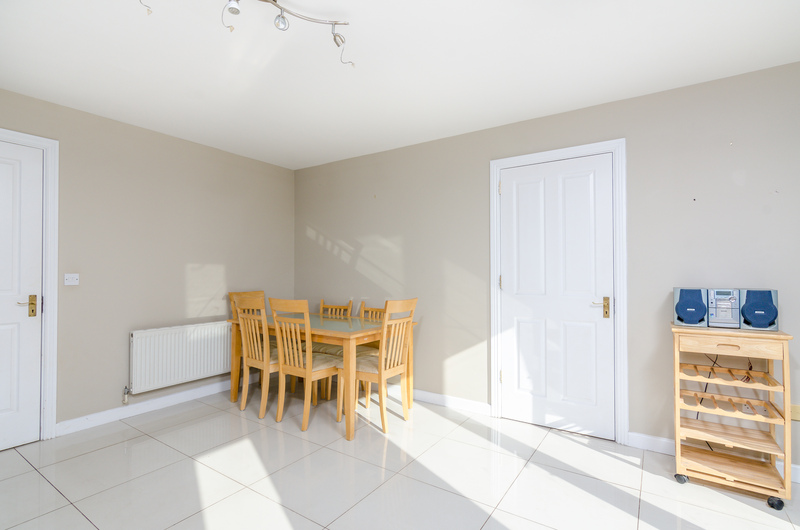 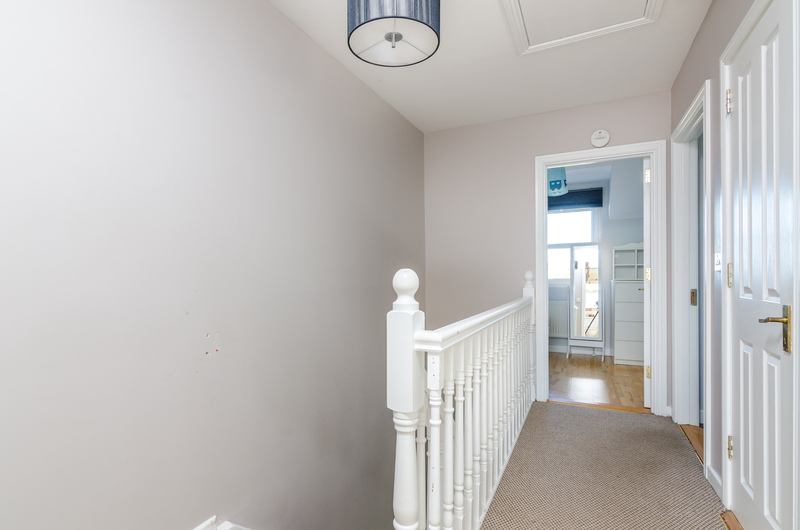 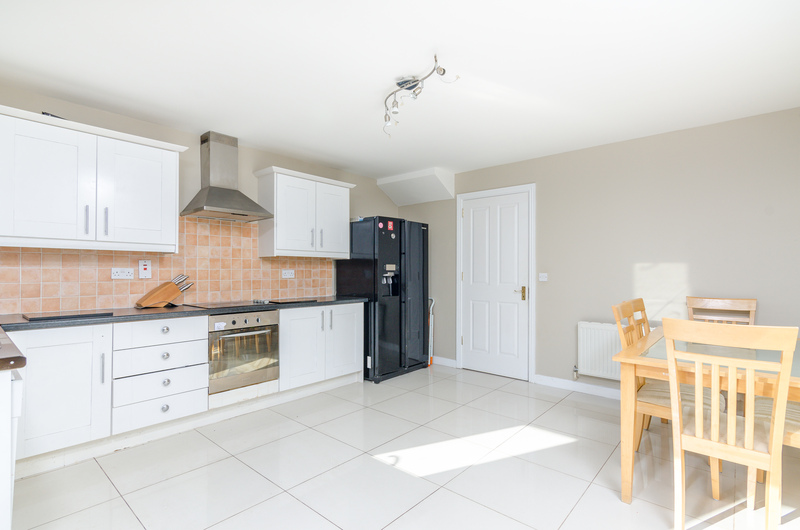 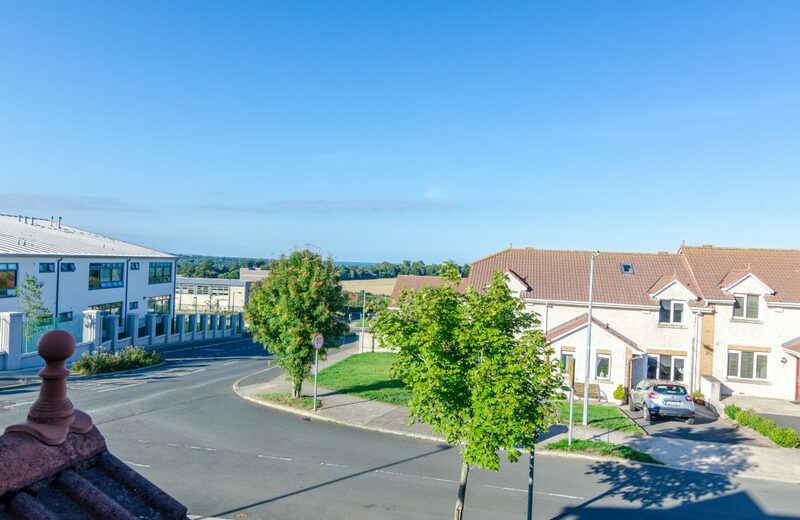 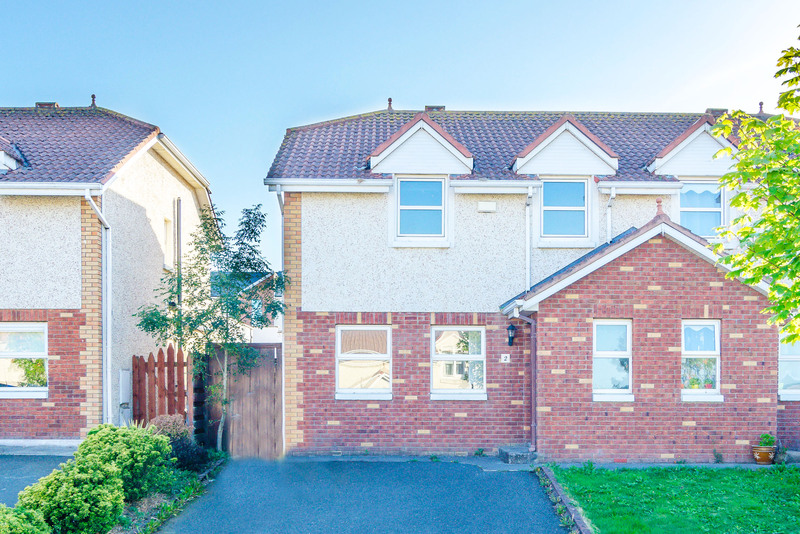 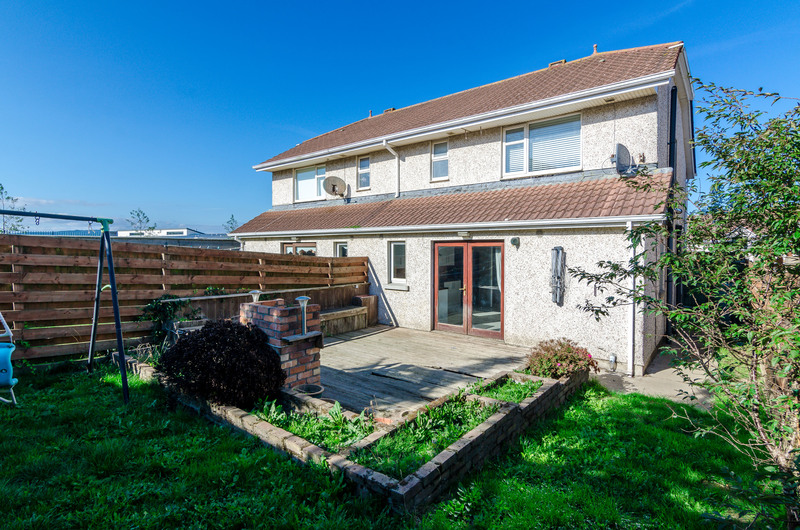 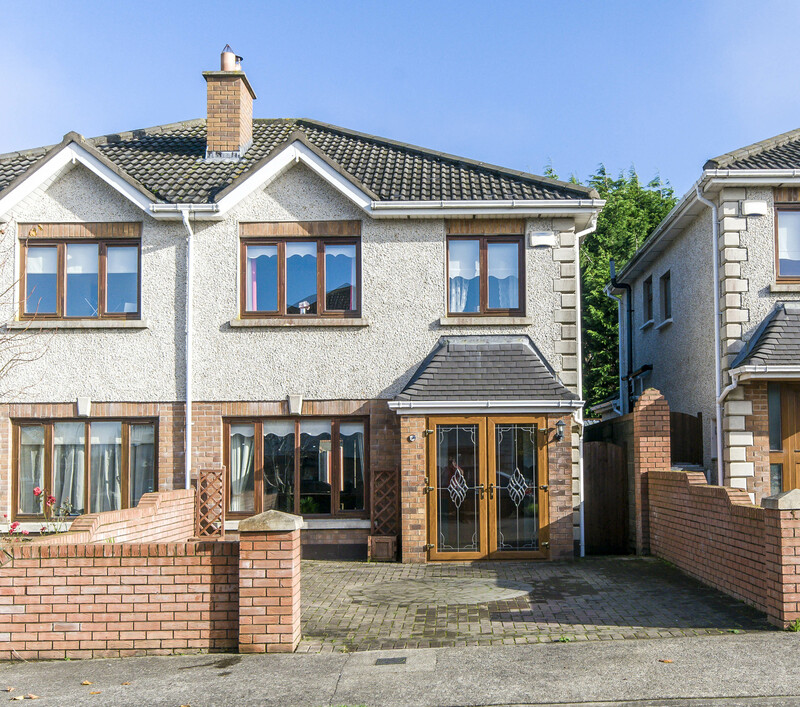 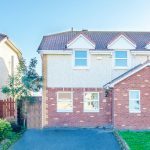 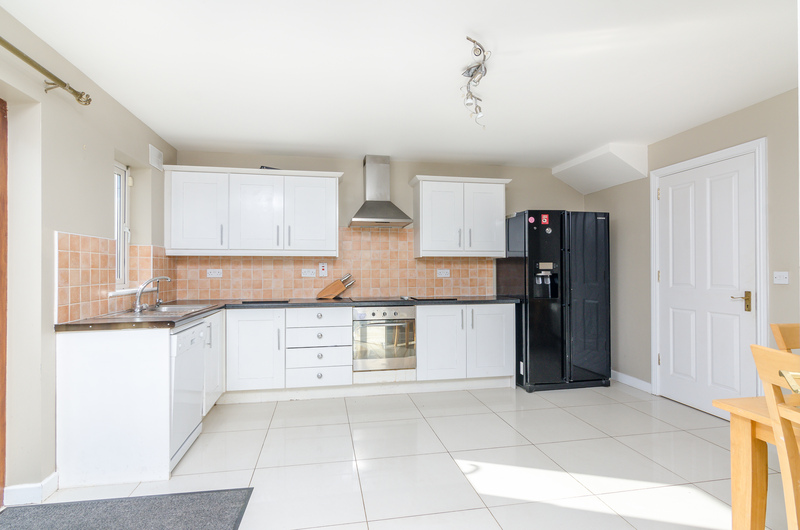 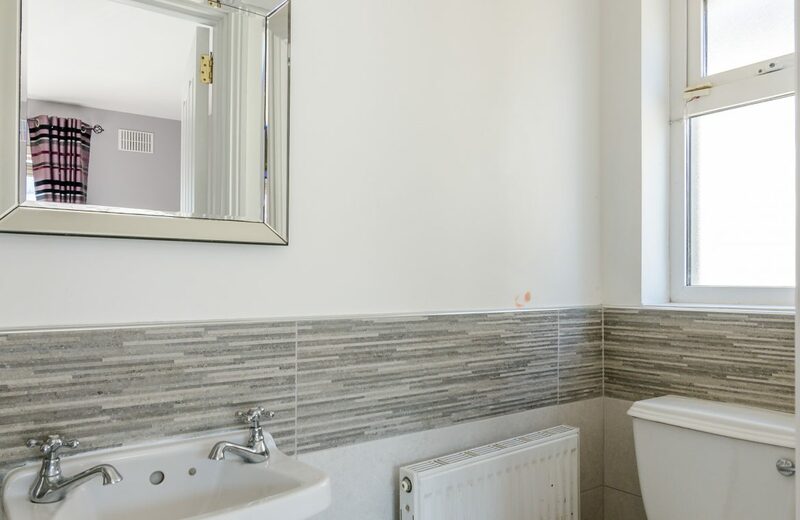 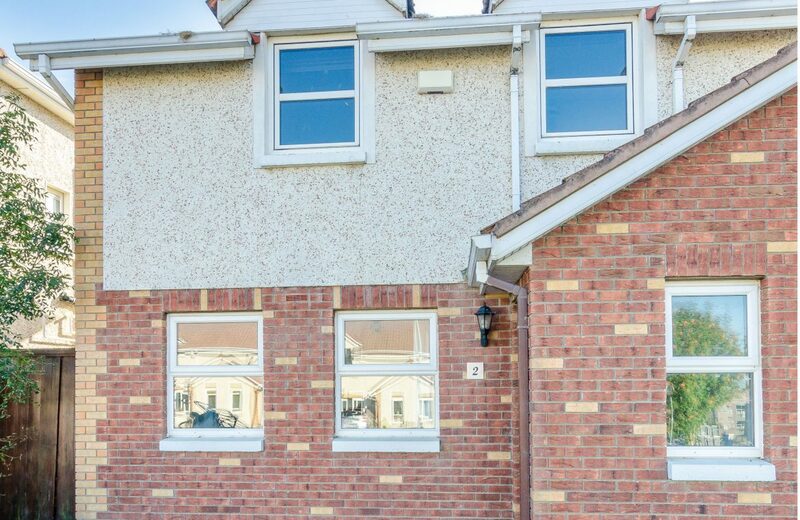 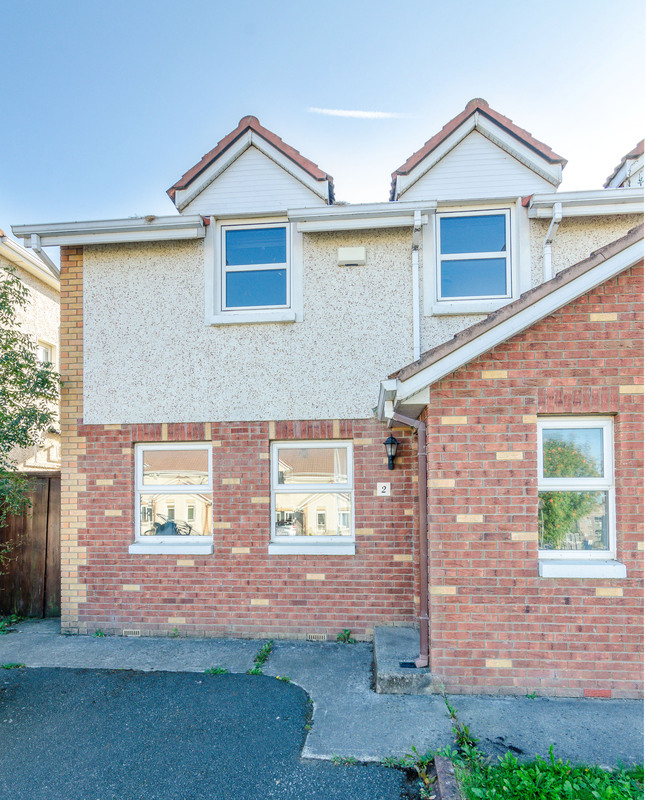 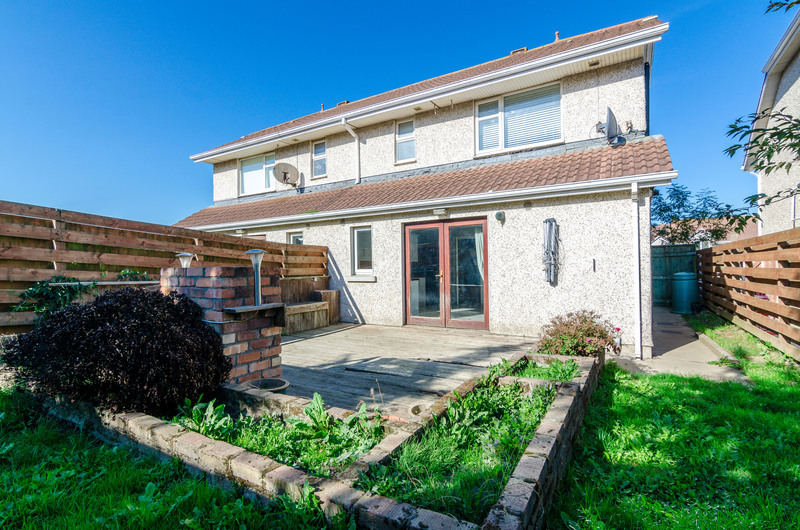 This much sought after, conveniently located almost adjacent to the Gael Scoil in Rathnew and is easy walking distance of Colaiste Chill Mhaintain, Merrymeeting Shopping Centre is within a short stroll of restaurants, pubs, shops and an excellent choice of primary and secondary schools in the area. 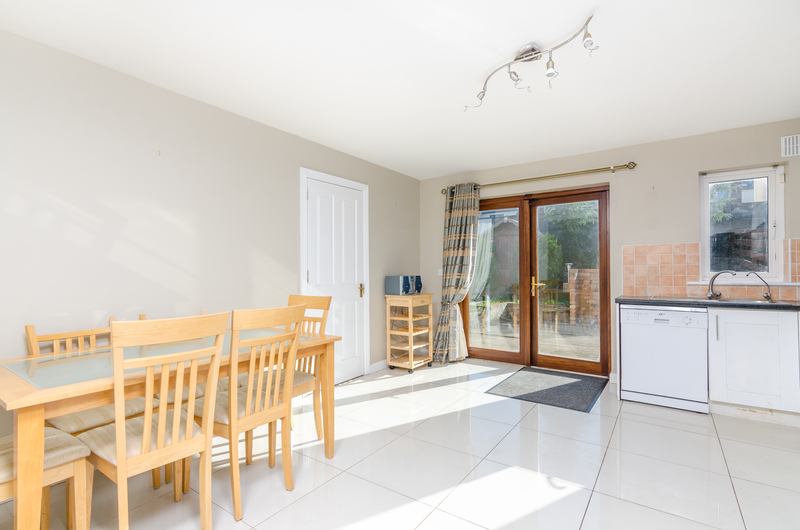 Close to the N11 and M50. 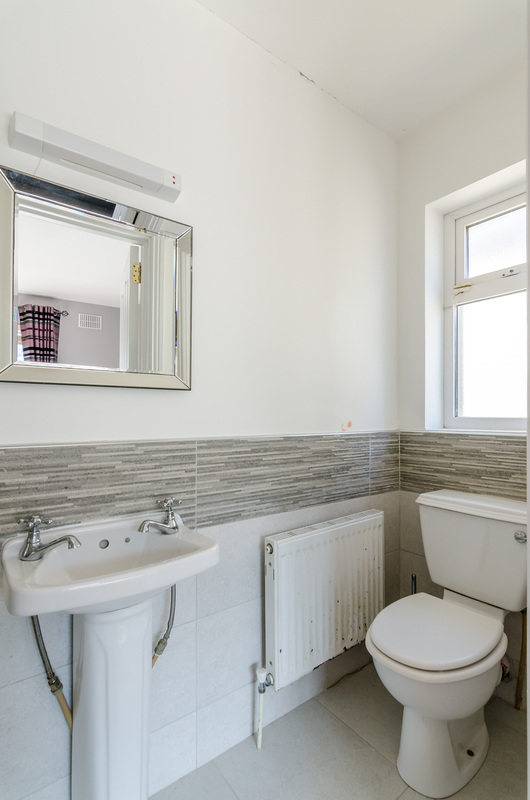 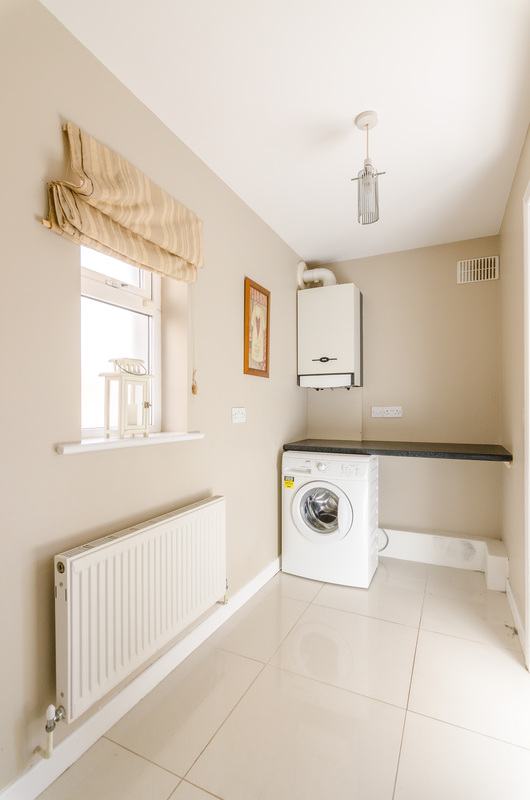 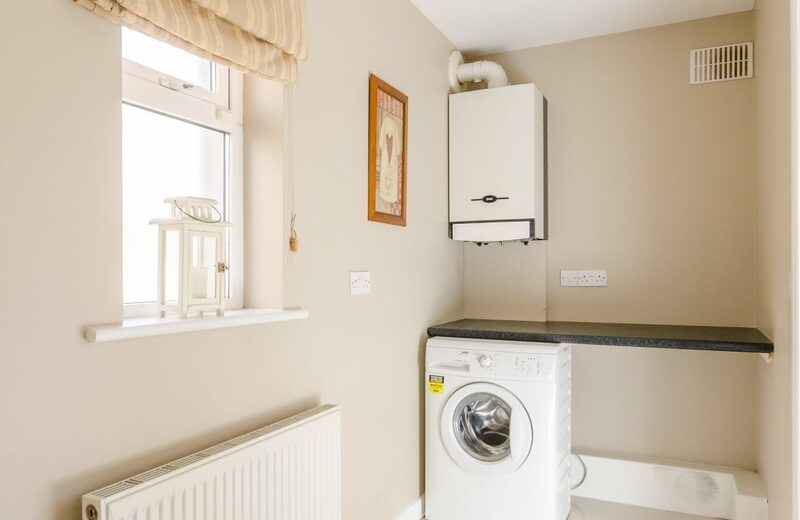 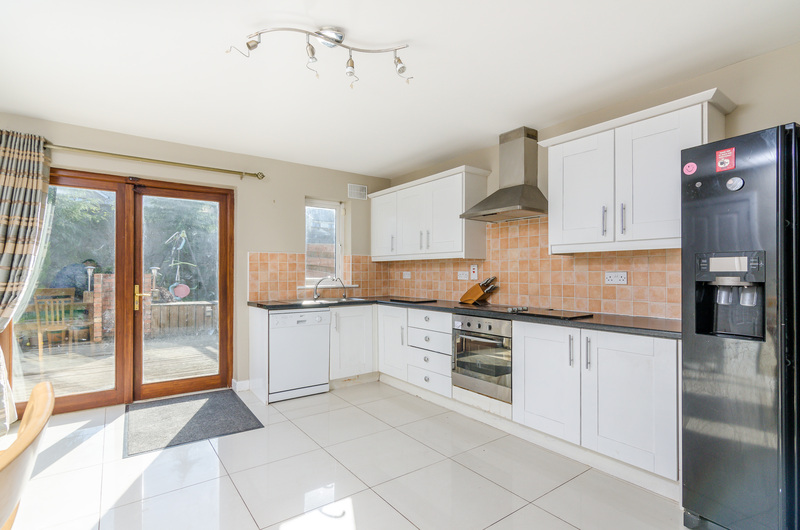 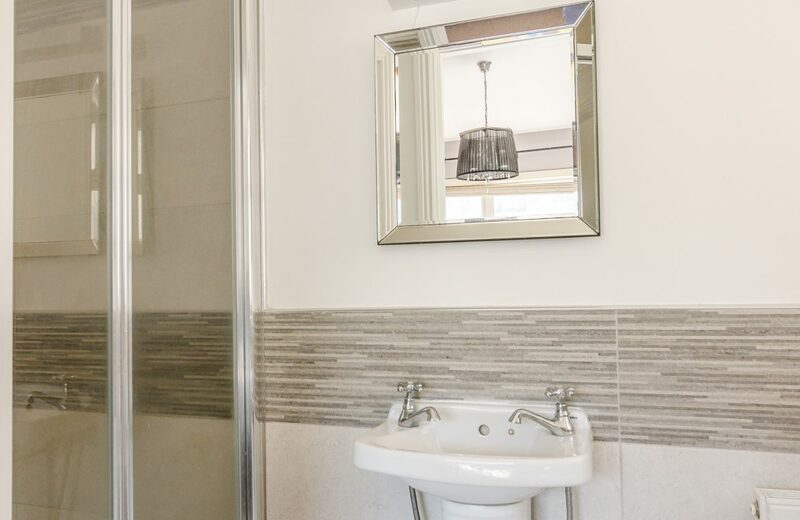 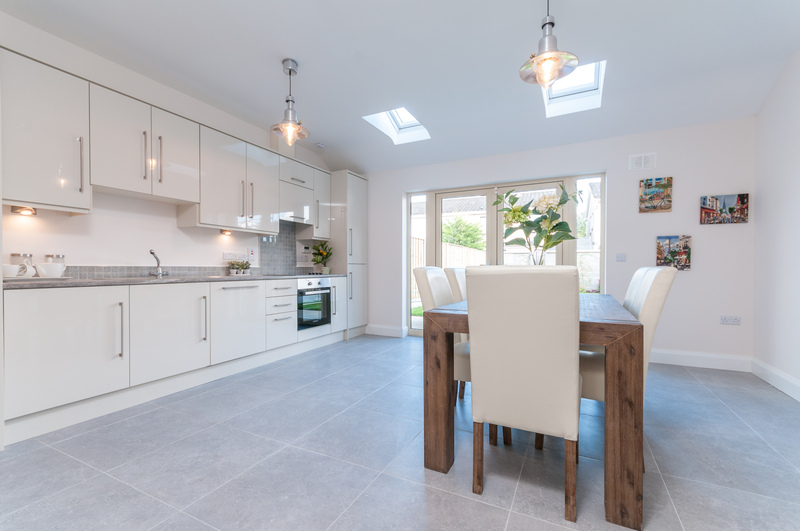 Reception Hall: (2.02m x 5.70m) Kitchen: (4.18m x 4.59m) with fully fitted press units, drawers, saucepan drawers, worktops, tiled splashback, stainless steel sink unit, window overlooking the back, patio door to garden. 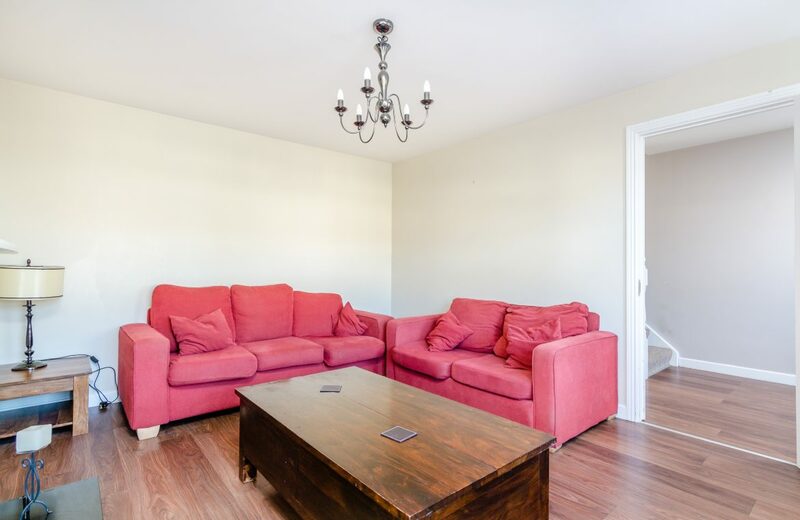 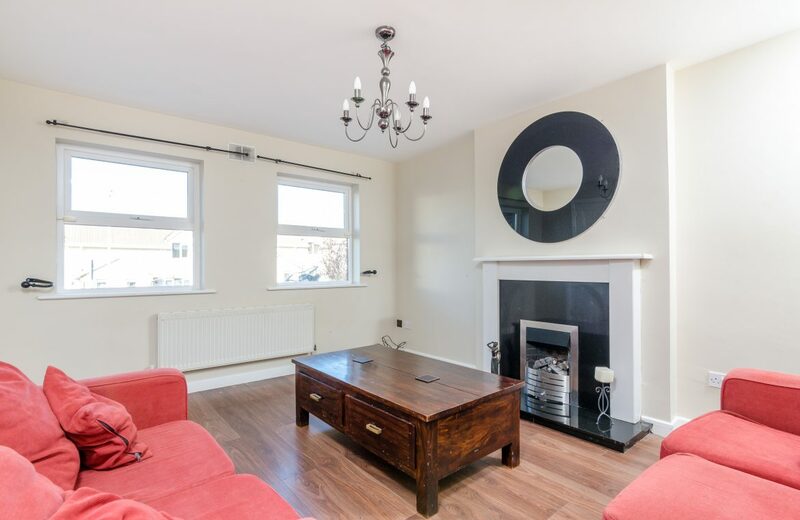 Living room: (4.28m x 3.67m) with wooden floor.Guest w/c: (1.45m x 1.41m) with wash hand basin and w/c Utility Room: (2.95 x 1.45m) Landing: with carpet floor Bathroom: (1.99m x 1.83m) with bath, w.c., pedestal, wash hand basin, tiled wall, bath. 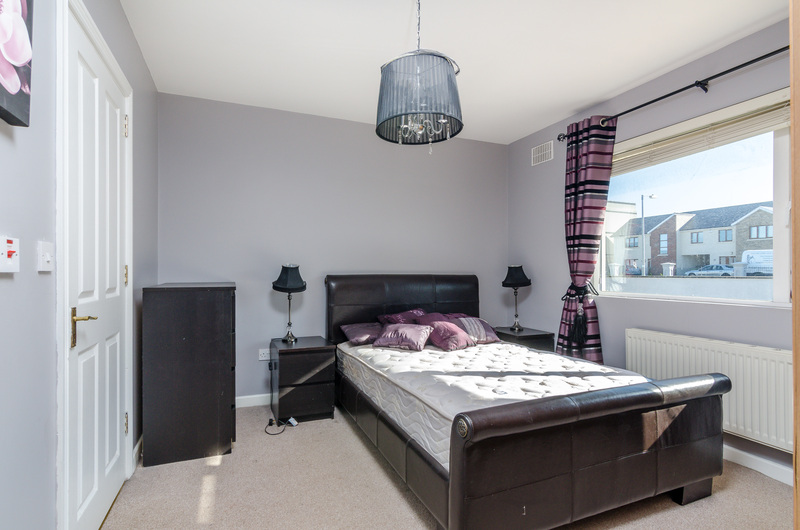 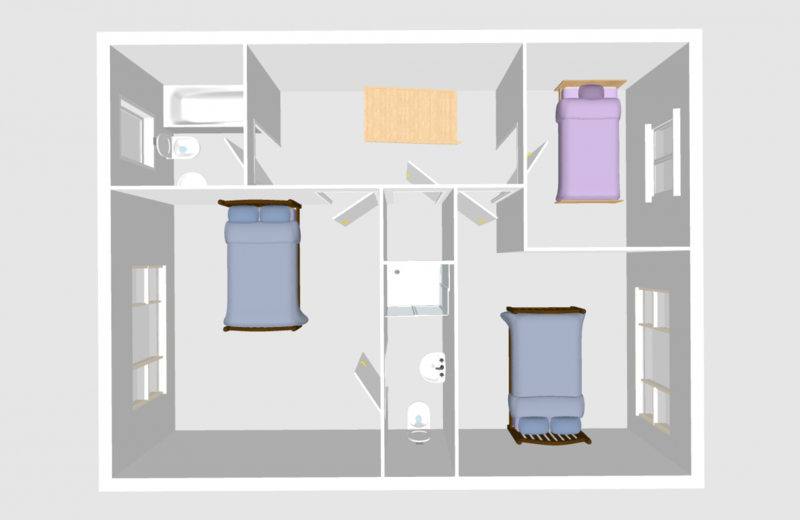 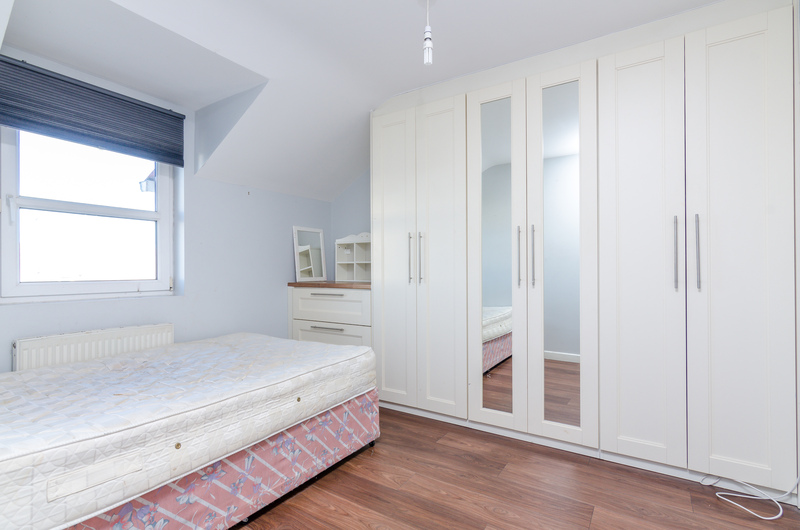 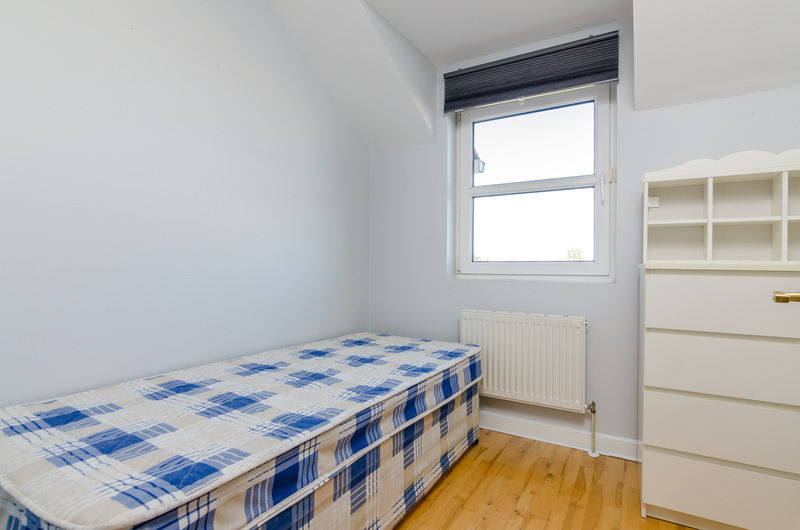 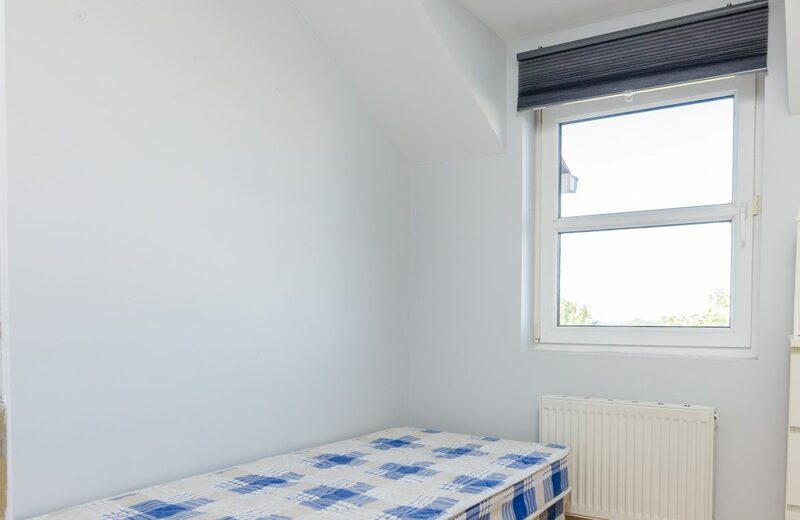 Bedroom 1: (3.20m x 3.65m) double bedroom with carpet floor & built in wardrobes & storage. 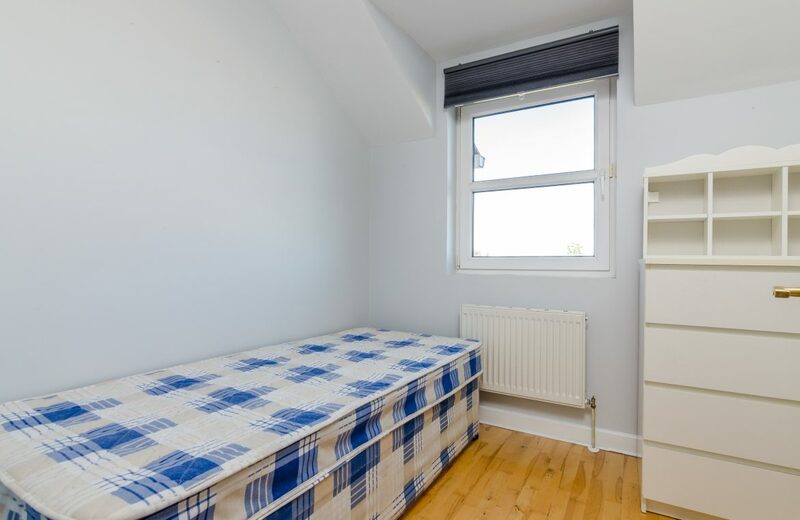 Bedroom 2: (3.45m x 3.05m) double bedroom with wooden floor. 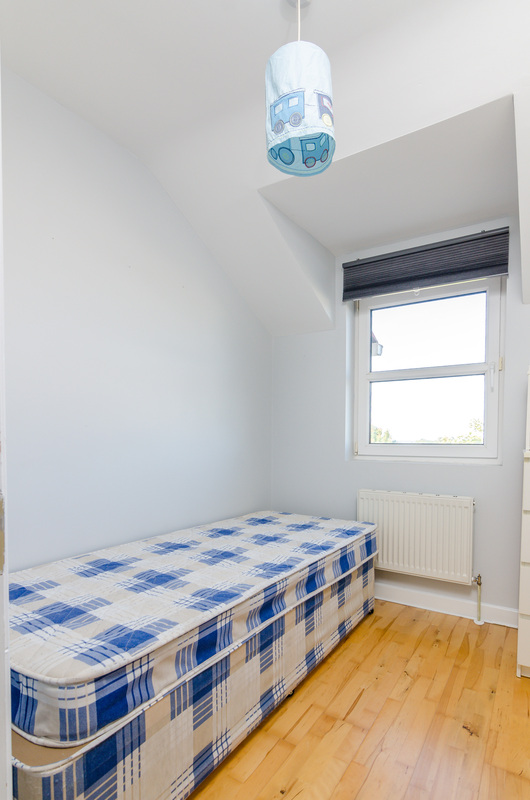 Bedroom 3: (2.55m x 2.25m) neat single room with wooden floor.Rear Garden: lawned & fenced. >> CLOSE TO LOCAL AMENITIES. 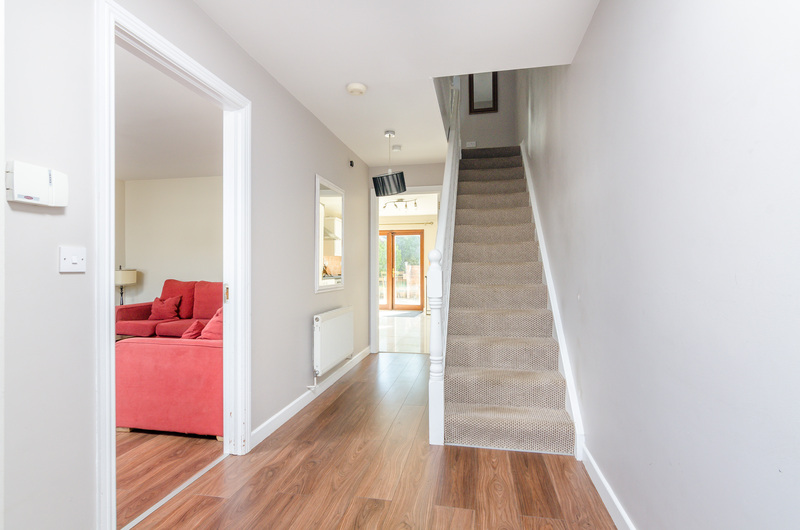 >> MATURE & POPULAR DEVELOPMENT. 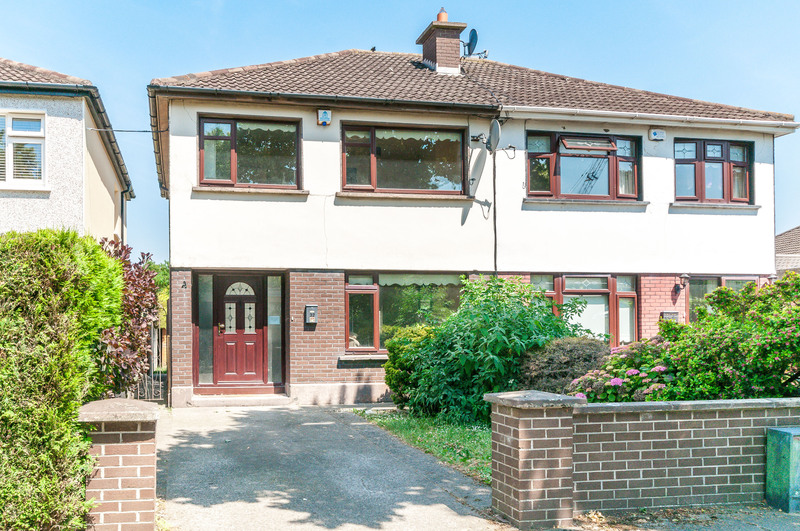 6 Newcastle Manor Court, Newcastle, Co. Dublin. 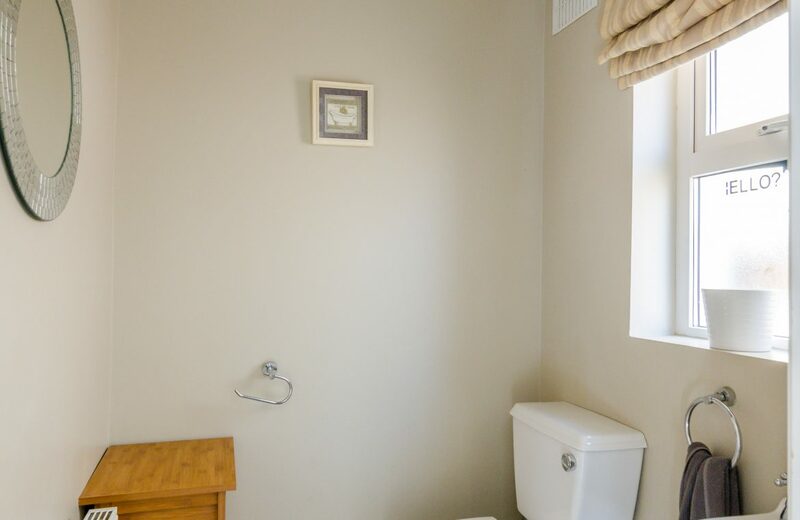 D22 W594. 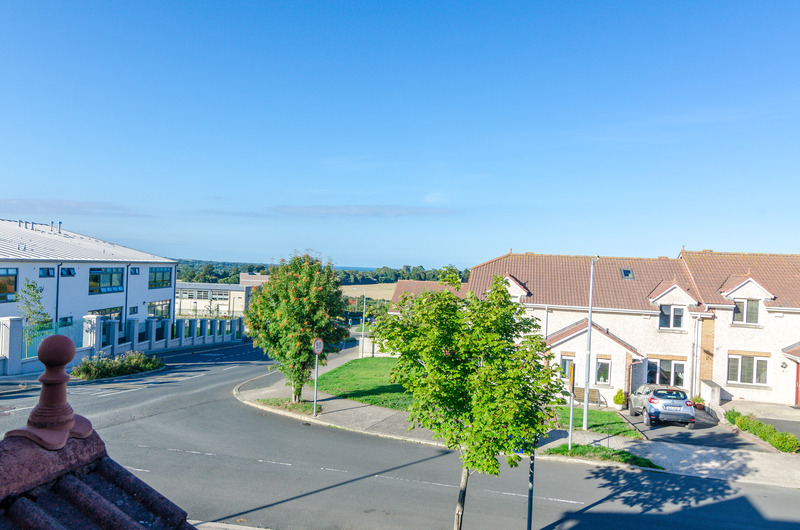 46 The Avenue, Newtown Manor, Kill, Co. Kildare. 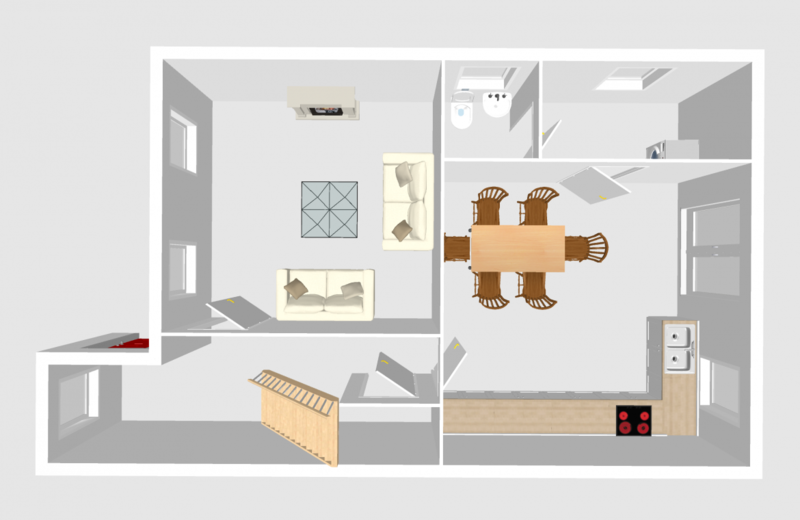 W91 EE68.